Meetings posted as necessary. Visit Frankfort Rec. on Facebook. Meetings every 3rd Tuesday of the Month. 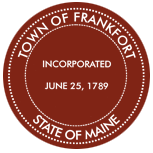 Visit Frankfort Internet Committee on Facebook.